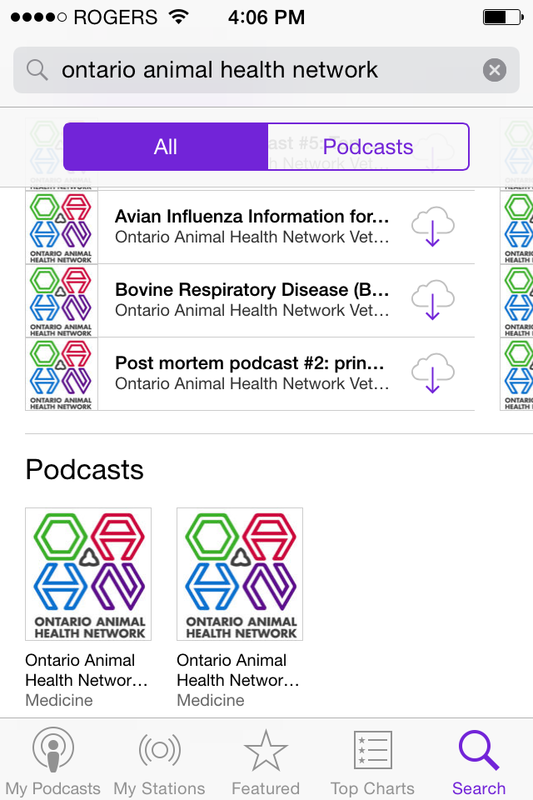 If you want to keep up-to-date with the Ontario Animal Health Network podcasts, it’s easy to subscribe to the podcast using your iPhone. By subscribing to our podcast, you will receive alerts whenever a new podcast is available, and you will then be able to stream it or download it. OAHN Podcasts will now appear under the “My Podcasts” section of your Podcasts App on your iPhone, and will be automatically updated when new podcasts are released.